‘Board Game Show N’ Play’ is a one night special event where 10 of NYC’s coolest local board game designers/design groups show off and demo selected games that will be free to play for all! From strategy to party from two player to large groups there will be a game for every taste. Full listing of games with links below to learn more! Deadball is a fast-paced baseball game for one or two players that uses real statistics and RPG dice to bring the ballpark to your tabletop. 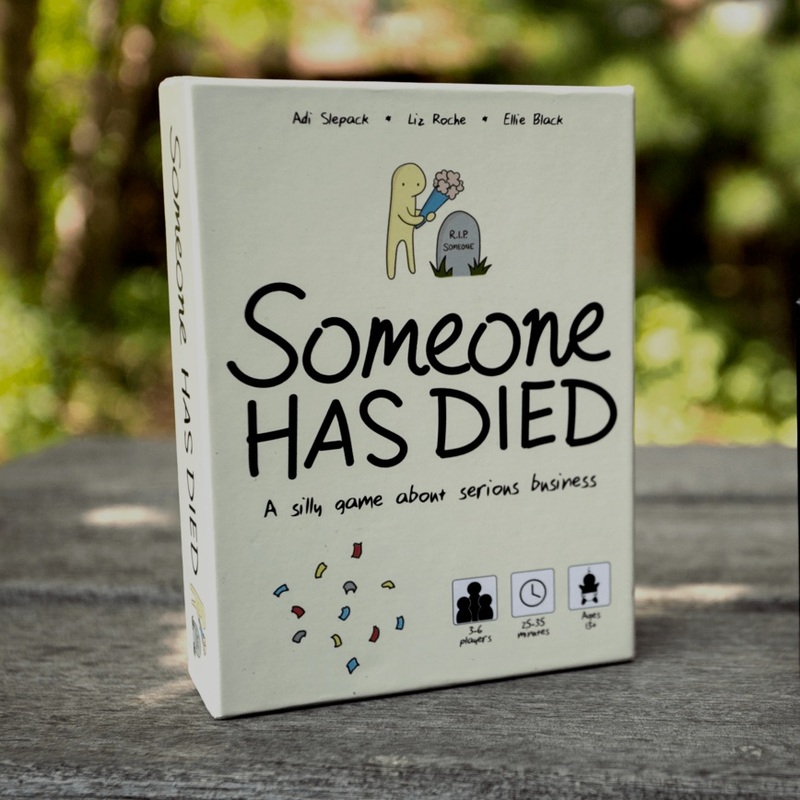 In fifteen or twenty minutes, simulate a full game between real or imaginary teams, using an elegantly simple system that's intuitive to die-hards and casual fans alike. FlipTales is a party game for creative people! In FlipTales, you and your friends pretend to be different magical characters in a story, working together to advance the plot. It's like Mad-Libs meets Choose-Your-Own-Adventure. FlipTales was created to bring more accessibility and inclusivity to the Dungeons & Dragons genre by focusing on simple design, light-hearted voice, and gender-neutral content. Trailhead is a survival themed dice game that's all about managing your resources, pushing your luck, and being adventurous. In Trailhead you do what it takes to be the first player to escape the wilderness alive - even if it means getting a little aggro with other players. Compact enough to take anywhere, Trailhead is easy to learn and perfect for both the kitchen table and the campsite. As the game progresses, the city's skyline emerges through lovely 3D pieces. And the board will change every time you play! Senators is best described as an adversarial bidding game. Players earn money by purchasing resources at auction, extorting them from other players, then selling them in sets to the bank. Cash is required to support wars, defend against aggressive bids, and most importantly to buy more Senators. The game lasts a variable number of turns, and when the fourth war is revealed it immediately ends. At that point, the player with the most Senators wins! Wing It is a hilarious storytelling and problem-solving game. You and your friends pit your imaginations against each other as you dream up ways to overcome unlikely challenges (...now an eerily well-coordinated horde of angry jelly fish begins to rock the boat until it tips precariously from side to side...) with an even unlikelier set of resources (...and all you have is the Book of Mormon, a magic flying dish towel, 5 seductive chickens, one pound of leg hair, and a complete collection of Hitchcock films). Smoke rises on the horizon. A fire rages in the heart of the forest. 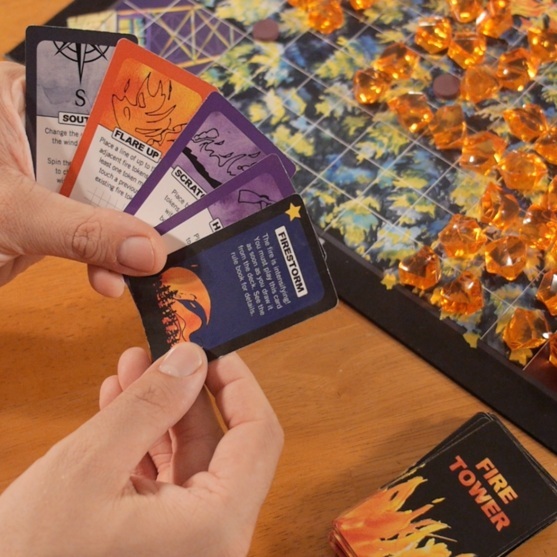 Command your forces from the height of a fire tower as the inferno grows with each turn. Harness the power of the wind to push the blaze towards the other towers, clear tracts of land to fortify your position, hinder the plans of your opponents with torrents of water, and unleash an arsenal of fire cards upon your foes. Each card has a unique pattern with its own strategic advantage. Can you effectively direct the resources in your hand and use sound spatial planning to deploy them?